MAM oral care products have been developed with pediatric dentists to ensure babies develop effective and lasting oral hygiene habits from the beginning. 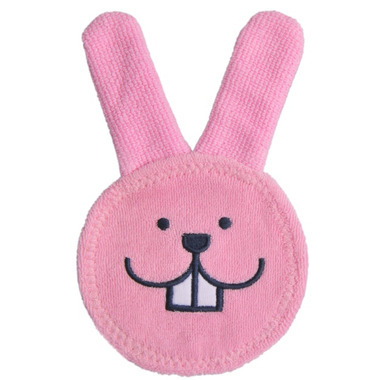 The Oral Care Rabbit is made of machine-washable microfiber that gently cleans baby's gums and first teeth. Care: Machine washable up to 104° F / 40°C , can be tumble dried (low temperature only) and ironed (low temperature only).